Topic: Edmond S. Meany. "Origin of Washington Geographic Names" in The Washington Historical Quarterly, 1920. Volume 11, p. 117.; Dee Linford. 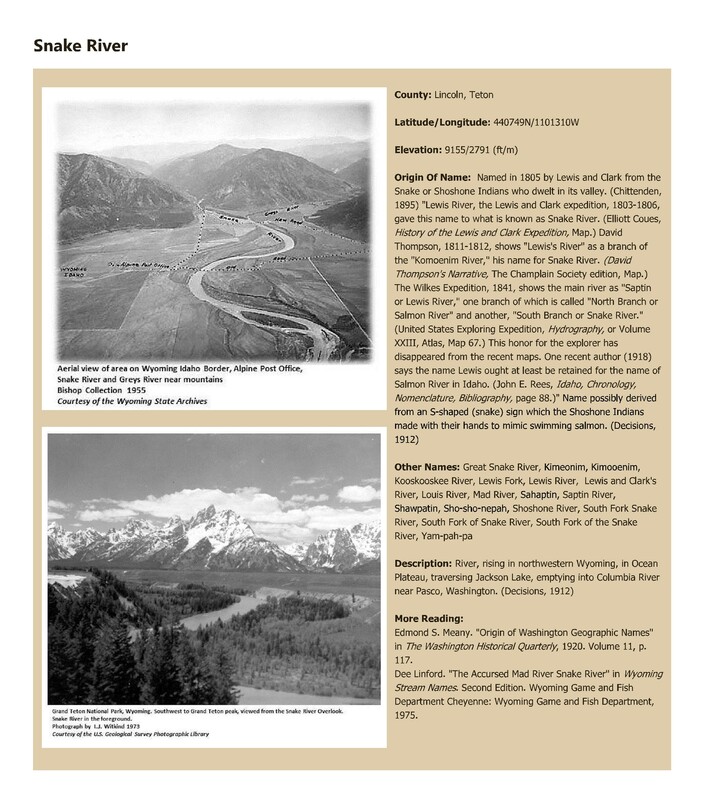 "The Accursed Mad River Snake River" in Wyoming Stream Names. Second Edition. Wyoming Game and Fish Department Cheyenne: Wyoming Game and Fish Department, 1975.